ARM – Carpet Bomberz Inc.
HP’s releasing a Proliant based blade server that can use ARM based cpus. The software ecosystem for ARM servers “is still shaky, there needs to be a lot more software development going on and it will take time,” says Gwennap. via HP Ships First ARM Servers | EE Times. Previous generations of multi-core, massively parallel, ARM based servers were one off manufacturers with their own toolsets and Linux distros. HP’s attempt to really market to this segment of the market will hopefully be substantial enough to get an Ubuntu distro that has enough Libraries and packages to make it function right out of the box. In the article it says companies are using the Proliant ARM-based system as a memcached server. I would speculate that if that’s what people want, the easier you can make that happen from an OS and app server standpoint the better. There’s a reason folks like to buy Synology and BuffaloTech NAS products and that’s the ease with which you spin them up and get a lot of storage attached in a short amount of time. If Proliant can do that for people needing quicker and more predictable page loads on their web apps, then optimize for memcached performance and make it easy to configure and put into production. Now what, you may ask, is memcached? If you’re running a web server or a web application that requires a lot of speed so that purchases or other transactions complete and show some visual cue that it was successful, the easiest way to do that is through cacheing. The web page contents are kept in a high speed storage location separate from the actual webpage and when required will redirect, or point to the stuff that sits over in that high speed location. By swapping the high speed stored stuff for the slower stuff, you get a really good experience with the web page refreshing automagically showing your purchases in a shopping cart, or that your tax refund is on it’s way. The web site world is built on caching so we don’t see spinning watches or other indications that processing is going on in the background. To date, this type of caching has seen different software packages do this for first Apache web servers, but now in the world of Social Media, it’s doing it for any type of web server. Whether it’s Amazon, Google or Facebook, memcached or a similar cacheing server is sending you that actual webpage as you click, submit and wait for the page to refresh. And if a data center owner like Amazon, Google and Facebook can lower the cost for each of it’s memcached servers, they can lower their operating costs for each of these cached web pages and keep everyone happy with the speed of their respective websites. Whether or not ARM-based servers see a wider application is dependent on the apps being written specifically for that chip architecture. But at least now people can point to memcached and web page acceleration as a big first win that might see wider adoption longer term. On Tuesday, the company unveiled its new ARM Cortex-M0+ processor, a low-power chip designed to connect non-PC electronics and smart sensors across the home and office. Previous iterations of the Cortex family of chips had the same goal, but with the new chip, ARM claims much greater power savings. According to the company, the 32-bit chip consumes just nine microamps per megahertz, an impressively low amount even for an 8- or 16-bit chip. via ARM Wants to Put the Internet in Your Umbrella | Wired Enterprise | Wired.com. Lower power means a very conservative power budget especially for devices connected to the network. And 32 bits is nothing to sneeze at considering most manufacturers would pick a 16 or 8-bit chip to bring down the cost and power budget too. According to this article the degree of power savings is so great in fact that in sleep mode the chip consumes almost no power at all. 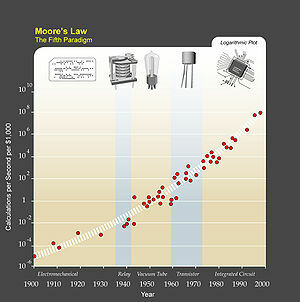 For this market Moore’s Law is paying off big benefits especially given the bonus of a 32bit core. So not only will you get a very small lower power cpu, you’ll have a much more diverse range of software that could run on it and take advantage of a larger memory address space as well. I think non-PC electronics could include things as simple as web cams or cellphone cameras. Can you imagine a CMOS camera chip with a whole 32bit cpu built in? Makes you wonder no just what it could do, but what ELSE it could do, right? The term ‘Internet of Things‘ is bandied about quite a bit as people dream about cpus and networks connecting ALL the things. And what would be the outcome if your umbrella was connected to the Internet? What if ALL the umbrellas were connected? You could log all kinds of data, whether it was opened or close, what the ambient temperature is. It would be like a portable weather station for anyone aggregating all the logged data potentially. And the list goes on and on. Instead of Tire pressure monitors, why not also capture video of the tire as it is being used commuting to work. It could help measure the tire wear and setup and appointment when you need to get a wheel alignment. It could determine how many times you hit potholes and suggest smoother alternate routes. That’s the kind of blue sky wide open conjecture that is enabled by a 32-bit low/no power cpu. As reported by Andrew Cunningham for Anandtech: Weve known that Microsoft has been planning an ARM-compatible version of Windows since well before we knew anything else about Windows 8, but the particulars have often been obscured both by unclear signals from Microsoft itself and subsequent coverage of those unclear signals by journalists. 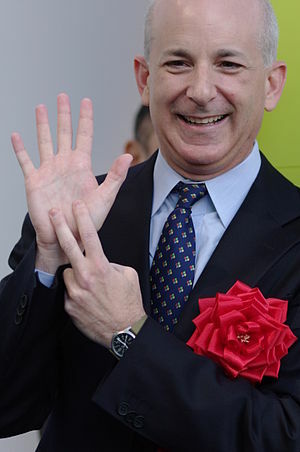 Steven Sinofsky has taken to the Building Windows blog today to clear up some of this ambiguity, and in doing so has drawn a clearer line between the version of Windows that will run on ARM, and the version of Windows that will run on x86 processors. via AnandTech – Microsoft Provides Windows on ARM Details. That’s right ARM cpus are in the news again this time info for the planned version of Windows 8 for the mobile CPU. And it is a separate version of Windows OS not unlike Windows CE or Windows Mobile or Windows Embedded. They are all called Windows, but are very different operating systems. The product will be called Windows on ARM (WOA) and is only just now being tested internally at Microsoft with a substantial development and release to developers still to be announced. One upshot of this briefing from Sinofsky was the mobile-centric Metro interface will not be the only desktop available on WOA devices. You will also be able to use the traditional looking Windows desktop and not incur a big battery power performance hit. Which makes it a little more palatable to a wider range of users no doubt who might consider buying a phone or tablet or Ultrabook running an ARM cpu running the new Windows 8 OS. Along the same lines there will be a version of Office apps that will also run on WOA devices including the big three Word, Excel and Powerpoint. These versions will be optimized for mobile devices with touch interfaces which means you should buy the right version of Office for your device (if it doesn’t come pre-installed). Lastly the optimization and linking to specially built Windows on ARM devices means you won’t be able to install the OS on just ‘any’ hardware you like. Similar to Windows Mobile, you will need to purchase a device designed for the OS and most likely with a version pre-installed from the factory. This isn’t like a desktop OS built to run on many combos of hardware with random devices installed, it’s going to be much more specific and refined than that. Microsoft wants to really constrain and coordinate the look and feel of the OS on many mobile devices so that an average person can expect it to work similarly and look similar no matter who the manufacturer of the device will be. One engineering choice that is going to assist with this goal is an attempt to address the variations in devices by using so-called “Class Drivers” to support the chipsets and interfaces in a WOA device. This is a less device specific way of support say a display panel, keyboard without having to know every detail. A WOA device will have to be designed and built to a spec provided by Microsoft for which then it will provide a generic ‘class driver’ for that keyboard, display panel, USB 3.0 port, etc. So unlike Apple it won’t just be a limited set of hardware components necessarily, but they will have to meet the specs to be supported by the Windows on ARM OS. This no doubt will make it much easier for Microsoft to keep it’s OS up to date as compared to say in the Google Android universe where the device manufacturers have to provide the OS updates (which in fact is not often as they prefer people to upgrade their device to get the new OS releases).
. . . 20 nm may represent an inflection point in which it will be necessary to transition from a metal-oxide semiconductor field-effect transistor MOSFET to Fin-Shaped Field Effect Transistors FinFET or 3D transistors, which Intel refers to as tri-gate designs that are set to debut with the companys 22 nm Ivy Bridge product generation. via ARM Pitches Tri-gate Transistors for 20nm and Beyond. Three Dimensional transistors in the news again. Previously Intel announced they were adopting a new design for their next generation next smaller design rule for the Ivy Bridge generation Intel CPUs. 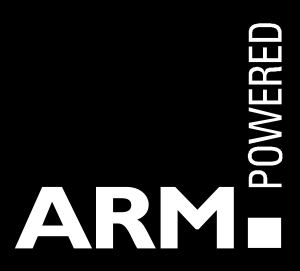 Now ARM is also doing work to integrate similar technology into their ARM cpu cores as well. No doubt in order to lower Thermal Design Point and maintain clock speed as well are both driving this move to refine and narrow the design rules for the ARM architecture. Knowing Intel is still the top research and development outfit for silicon semi-conductors would give pause to anyone directly competing with them, but ARM is king of the low power semi-conductor and keeping pace with Intel’s design rules is an absolute necessity. I don’t know how quickly ARM is going to be able to get a licensee to jump onboard and adopt the new design. Hopefully a large operation like Samsung can take this on and get the chip into it’s design, development, production lines at a chip fabrication facility as soon as possible. Likewise other contract manufacturers like Taiwan Semiconductor Manufacturing Company (TSMC) should also try to get this chip into their facilities quickly too. That way the cell-phone and tablet markets can benefit too as they use a lot of ARM licensed cpu cores and similar intellectual property in their shipping products. And my interest is not so much invested in the competition between Intel and ARM for low power computing but more the overall performance of any single ARM design once it’s been in production for a while and optimized the way Apple designs its custom CPUs using ARM licensed cpu cores. The single most outstanding achievement of Apple in their design and production of the iPad is the battery charge duration of 10 hours. Which to date, is an achievement that has not been beaten, even by other manufacturers and products who also license ARM intellectual property. So if the ARM design is good and can be validated and proto-typed with useful yields quickly, Apple will no doubt be the first to benefit, and by way of Apple so will the consumer (hopefully). You can bet that if ARM servers suddenly look like they will be taking off that Red Hat and Canonical will kick in some help and move these Xen and KVM projects along. Server maker HP, which has launched the “Redstone” experimental server line using Calxedas new quad-core EnergyCore ARM chips, might also help out. Dell has been playing around with ARM servers, too, and might help with the hypervisor efforts as well. via Xen hypervisor ported to ARM chips • The Register. However, I would say old habits of application and hardware consolidation die hard and virtualization is going to be expected because that’s what ‘everyone’ does in their data centers these days. So knowing that a hypervisor is available will help foster some more hardware sales of what will most likely be a niche products for very specific workloads (ie. Calxeda, Qanta SM-2, SeaMicro). And who knows maybe this will foster more manufacturers or even giant data center owners (like Apple, Facebook and Google) to attempt experiments of rolling their own ARM15 environments knowing there’s a ready made hypervisor out there that they can compile on the new ARM chip. However, I think all eyes are really still going to be on the next generation ARM version 8 with the full 64bit memory and instruction set. Toolsets nowadays are developed in house by a lot of the datacenters and the dominant instruction set is Intel x64 (IA64) which means the migration to 64bits has already happened. Going back to 32bits just to gain the advantage of the lower power ARM architecture is far to costly for most. Whereas porting from IA64 to 64bit ARM architecture is something more datacenters might be willing to do if the potential cost/benefit ratio is high enough to cross-compile and debug. So legacy management software toolsets are really going to drive a lot of testing and adoption decisions by data centers looking at their workloads and seeing if ARM cpus fit their longer term goals of saving money by using less power. Samsung also previewed a 2 GHz dual-core ARM Cortex-A15 application processor, the Exynos 5250, also designed on its 32-nm process. The company said that the processor is twice as fast as a 1.5 GHz A9 design without having to jump to a quad-core layout. via Samsung Reveals 2 GHz Cortex-A15 Exynos 5250 Chip. More news on the release dates and the details off Samsung’s version of the ARM Cortex A15 cpu for mobile devices. Samsung is helping ramp up performance by shrinking the design rule down to 32nm, and in the A15 cpu dropping two out of the four possible cores. This choice is to make room for the integrated graphics processor. It’s a deluxe system on a chip that will no doubt give any A9 equipped tablet a run for its money. Indications at this point by Samsung are that the A15 will be a tablet only cpu and not adapted to smartphone use. Early in the Fall there were some indications that the memory addressing of the Cortex A15 would be enhanced to allow larger memories (greater than 4GBytes) to be added to devices. As it is now memory addressing isn’t a big issue as memory extensions (up to 40bits Large Physical Address Extensions-LPAE) are allowed under the current generation Cortex A9. However the Instructions are still the same 32 bit Instruction Set longtime users of the ARM architecture are familiar with, and as always are backward compatible with previous generation software. It would appear that the biggest advantage to moving to Cortex A15 would be the potential for higher clock rates, decent power management and room to grow on the die for embedded graphics. Apple in it’s designs using the Cortex processors has stayed one generation behind the rest of the manufacturers and used all possible knowledge and brute force to eek out a little more power savings. Witness the iPad battery life still tops most other devices on the market. By creating a fully customized Cortex A8, Apple has absolutely set the bar on power management on die, and on the motherboard as well. If Samsung decides to go the route of pure power and clock, but sacrifices two cores to get the power level down I just hope they can justify that effort with equally amazing advancements in the software that runs on this new chip. Whether it be a game or better yet a snazzy User Interface, they need to differentiate themselves and try to show off their new cpu.